What’s the Discovery Group of Companies in Humboldt, SK? 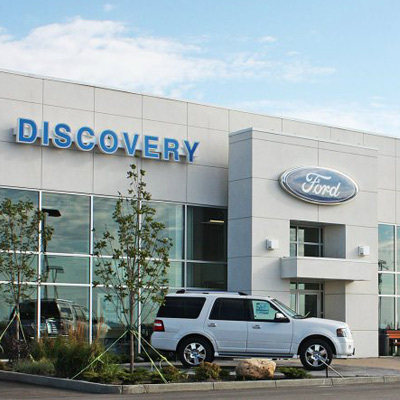 The Discovery Group of Companies is a one-stop-shop automotive, motorsport, outdoor lifestyle, power equipment, collision repair, and towing dealership group located in the Westwood Development Corporation Business Park on the west side of Humboldt, Saskatchewan. Discovery Group of Companies makes it easy to buy, get parts, roadside assistance, and warranty-approved service for new and used cars, recreational vehicles, and home/business tools. We’re people helping people. Mostly we get it right. If we don’t, let us know so that we can. New and certified pre-owned Ford cars, trucks, and SUVsplus complete repairs, parts, accessories, detailing, and financing. SGI accredited and eco-compliant auto body and glass repair facility. Automotive towing and roadside assistance services on call 24 hours a day, 7 days a week.